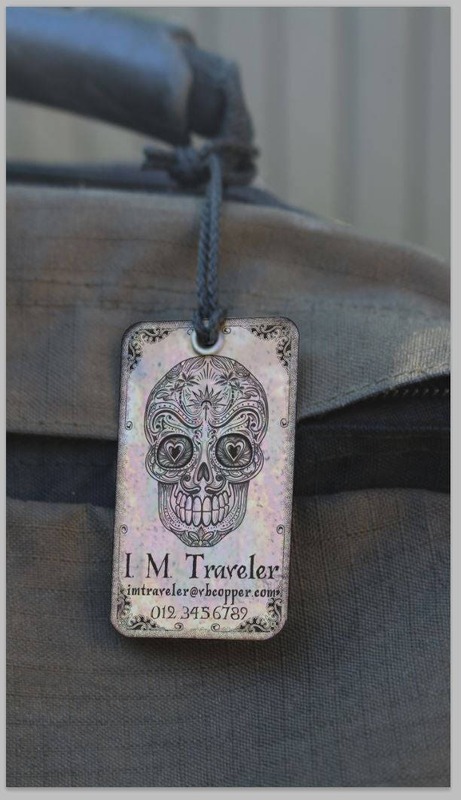 Wonderful Copper \ Brass etched tags with well-designed images to suite your travel needs. 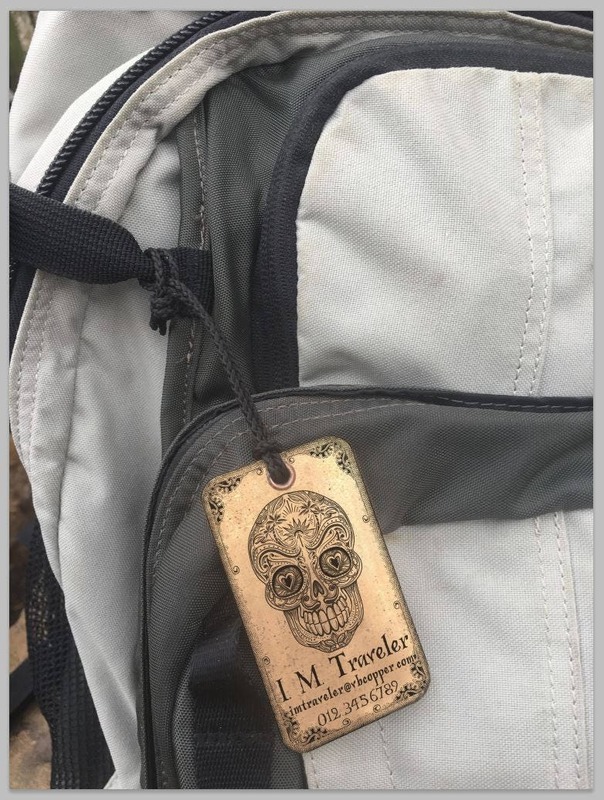 This offer is for a set of two (2) " Día de Muertos - Day of the Dead - Skull Male " Copper \ Brass Luggage Tags. 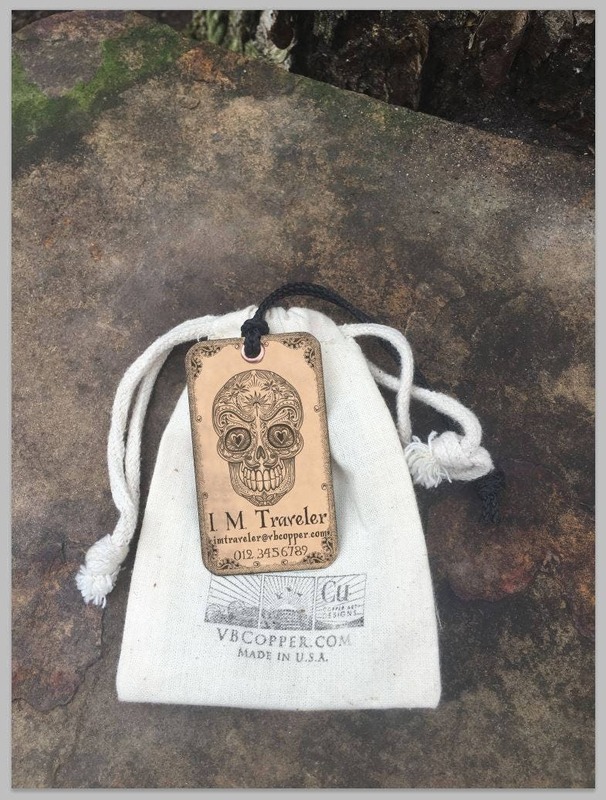 Whether you are buying these for you and your significant other, or for a special couple you know, these are the perfect long-lasting copper tags!